Yamaha Disklavier piano in a cruise ship’s lounge. Note the drinks shelf fixed around the piano’s rim. From March 14-16 the cruise industry’s premier global trade event, The Seatrade Cruise Global Show 2017, takes place in Fort Lauderdale, Florida. What has this to do with pianos? Well, the supply of musical instruments to the cruise industry is big business, and Yamaha, who are exhibiting at the show, invest a lot of time and effort to get their instruments “on-board”. Yamaha, the world’s largest musical instrument manufacturer (over 6 million pianos sold since 1900) first supplied drums to the Royal Caribbean Cruise Line some 20 years ago. Last year Yamaha tested their Music DeLIGHTS product with Crystal Cruises. This uses lighted keys to enable anyone to play their EZ-220 keyboards. Non-musical guests, looking to learn something new whilst on the high seas, can experience the joys of making music instantly. Simply follow the lights! At this year’s Seatrade show, Yamaha is exhibiting several high tech pianos, with a view to increasing their presence amongst the various fleets. Having a piano on-board ship is nothing new. Before the advent of the super-cruise liner the seafaring pianist needed to have a piano specially designed for a life on the ocean wave. Firstly space was a problem, life on board most ships was fairly cramped, and so the yacht piano was developed. This was an upright piano with a folding keyboard, which tucked away when not in use. 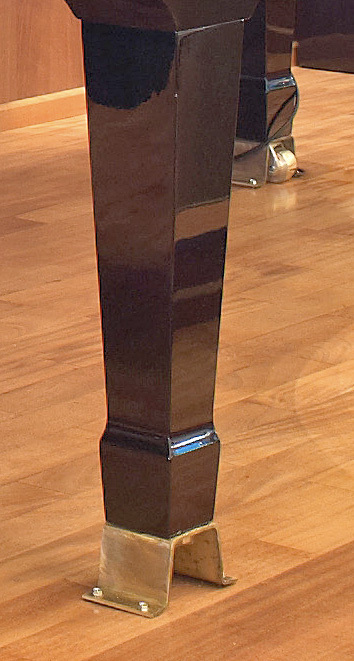 An upright yacht piano with keyboard folded away. Chappell & Co, London, c1910. If a grand piano was required, then generally space wouldn’t be at such a premium, but stability would. A baby grand piano weighs around 500 lbs (225kg) – which could cause problems in rougher waters. As a result ship pianos had a much sturdier frame and leg set. Castors were generally removed for obvious reasons. Advert for Welmar Pianos (c.1952). Note the solid leg set, with no castors. Today’s cruise ships are infinitely more stable and production instruments can be employed for both live performance and guest usage. However, various refinements make certain models more attractive to this market. Yamaha hope their new Disklavier ENSPIRE reproducing piano will be of particular interest here. Why? Because it satisfies a multitude of a cruise ship’s requirements. Yamaha grand piano in ship’s theatre. The ENSPIRE can be used both as a high quality acoustic piano for live performance, and (when the band take a break) as an on-demand fully orchestrated entertainment system. This is the seventh generation of Yamaha’s Disklavier reproducing (player) piano technology. There are over 500 built-in songs, and more than 6000 performances. These include an extensive library of “hospitality-focused, island- and sea-themed song favourites”. Yamaha also have a wireless multi-location audio system called MusicCast. This integrates with the Disklavier ENSPIRE to direct its output to any room or space throughout the ship. Yamaha are also showing their N3X AvantGuard piano. This is a hybrid instrument with a grand piano action. Sampled Yamaha CFX and Bösendorfer Imperial pianos are digitally recreated, and the sound is amplified with the aid of an actual soundboard resonator. The N3X is fairly impervious to the salt air environment and never needs tuning – both important benefits when onboard ship. 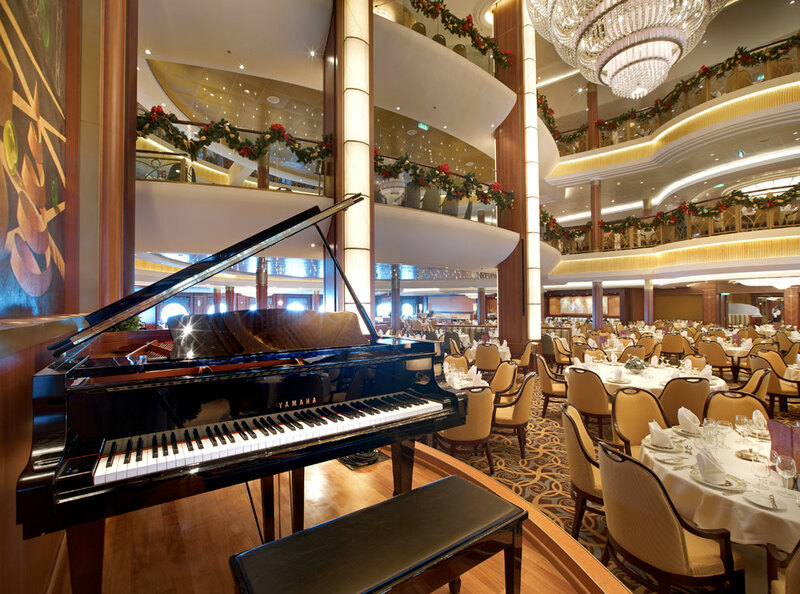 The piano plays a very important part of the cruising experience, be it as a performance instrument, a mood-setter in one of the many lounges, or just as an amenity for individual guests. 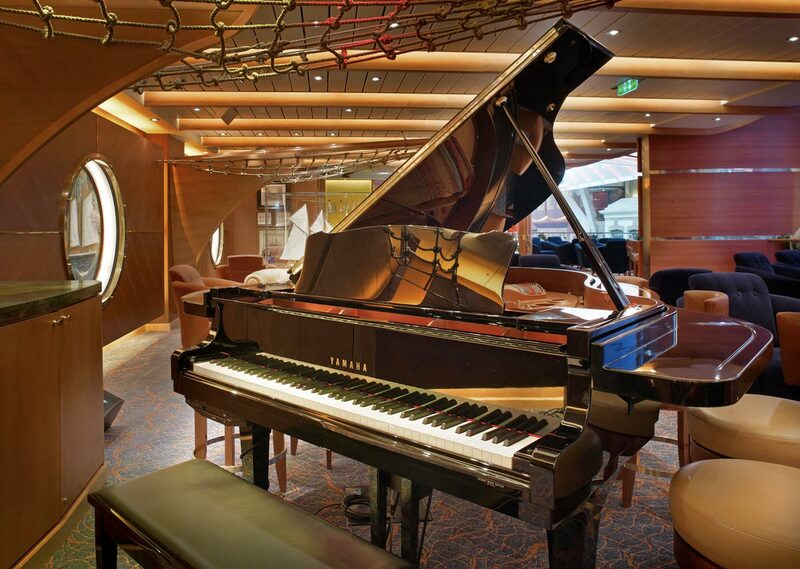 The ship’s piano has evolved to meet these changing needs. For more information, visit the Yamaha Booth (#3636) at the 2017 Seatrade Cruise Global Show, being held March 13-16 in Fort Lauderdale, Florida, or visit usa.yamaha.com. Although dealers of new Yamahas and Kawais may do their best to convince customers that the newer models are better, that is not always evident to prospective buyers, or to their piano technicians; and the purported tonal improvements may not be discernible or worth the difference in price to many people, especially those with a limited budget.